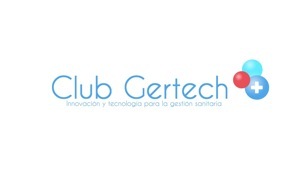 CLUB GERTECH: Are Computers Getting Between You and Your Doctor? The age of digitzed medicine is here. But for all its promises of simplifying doctors' visits, the technology also risks alienating the very people it's meant to help. The use of computers in everyday medical practice has finally reached the tipping point. The HITECH Act, part of the 2009 federal stimulus bill, has been the final kick in the pants that U.S. health care has long needed to make the conversion to digital. The act states that, by employing electronic health records (EHRs) in a fashion known as meaningful use, doctors are individually eligible for Medicare subsidies of $44,000, paid out over five years. Before now, only early adopters and deep-pocketed institutions like hospitals and large medical groups could afford the investment to convert to EHRs. In general, EHRs are secure digital repositories of patient information--doctors' notes, lab and X-ray reports, and letters from specialist physicians. They are an electronic version of the paper chart. Newer, more advanced EHRs are integrated systems and allow doctors to order tests, generate bills, communicate with patients, and run analyses on aggregate patient data. In hospitals, nurses use EHRs to administer and record medication dosing and document other patient care activities. Though medical practices have a high burden of proof to claim their bonus--the Department of Health and Human Services is still in the process of fully defining just what constitutes 'meaningful use'--there is now conclusive evidence that the carrots are working. Recent data demonstrates that solo and two-doctor offices, which still comprise over half of all medical practices in the U.S., have seen the biggest jump in EHR adoption over the last six months. These small shops are reaching the conclusion that they must participate, as they risk being left behind technologically and financially. Lawmakers, too, seem to agree that the digital advancements are both vitally necessary and long overdue. What remains to be addressed is how the total adoption of EHRs in medical practice will impact patients. Digitization of medical care makes intuitive sense: Medicine is a complex set of processes prone to error. Relying on fallible human memory or illegible handwriting seems downright shoddy in an era of "Watson" and personalized gene sequencing. And for the most part, patients view the transition positively, as medicine is following a path blazed by nearly every other customer-oriented business. In fact, it's become an article of faith that the huge upfront costs for computerized systems in medicine are recouped in time saved and errors avoided. Yet medical computing has given rise to a growing class of apostates. As a practicing primary care doctor, I feel I am slowly being pulled into the apostate camp. Our apostasy is not about EHRs; that game is all but over. Rather, there's a pervasive sense that our use of technology has become a wedge between doctors and just about everyone else: Nurses. Other doctors. Worst of all, our patients. Further, doctors and nurses are now tethered to computer appliances. To perform any basic hospital function (e.g. admission, lab test, x-ray, pill delivery, discharge), an order needs to be sent via the computer system. The good in this is that all doctors' orders go through one standardized entry point: It eliminates issues with poor physician penmanship. However, the technology inhibits doctors and nurses from actually talking to one another. For example, before our reliance on the computer, doctors usually spoke directly to nurses about a patient's care plan, offering updates or changes in the instructions as dictated by the patient's condition. In this way, nurses verified that they understood what was being done and the thought process behind it. Now, plans are entered into the computer, and the nurses receive the output, but the communication piece is missing. Of course, doctors and nurses can and often do still talk. Nurses are expected to call doctors when there is any lack of clarity. Yet something elemental (dare I say social?) has been lost. In the doctor's office setting, many patients have complained of their doctor making more eye contact with the computer screen than with them. Doctors are compelled to include specific elements in office notes to justify the level at which they can bill a visit. EHRs make this task easier, with prompts and templates to enumerate the specific elements. But it borders on the absurd: For a moderate complexity visit (known as a "level four"), two to nine body areas must be included in the 'review of systems,' plus at least '12 bulleted elements' of physical examination from at least two body systems. Got that? It goes on from there. The office visit has been reduced to mouse-clicking through dropdown menus and checkboxes to achieve the requisite documentation. Free text is discouraged, so even good typists wind up staring too much at the screen. Patients are stuck in a precarious middle. We want the doctor's full attention, but it's in our best interest to have data about our health and treatment processed correctly. We have a vague sense that the automation of processes leads to higher quality and better safety, but we derive little satisfaction from the experience. ...through the course of my visit he never touched me. We spent an extraordinary amount of time examining my MRI. Together in front of a large monitor we looked at every angle of my spine with me asking questions. I could see firsthand what had been keeping me up at night. I could understand why certain positions make me comfortable. What we drew from those images could never be determined with human hands. In my experience as a patient, I consider it one of my most thorough exams. Vartabedian is describing a new paradigm, in which he plays the role of empowered patient and demands an explanation to his level of satisfaction. In the parable offered, the technology is the medium, not the message. The e-patient movement has arisen as the activist's alternative to the passivity of Verghese's "iPatient." Led publicly by maven/gadfly Dave DeBronkart (a survivor of Stage IV kidney cancer), e-patients act as "responsible drivers of their health" and expect their health providers to "value them as full partners." The digital transition in medicine is chaotic, expensive, and far from complete. The next decade not only awaits the emergence of a defining market leader for EHRs, but also holds the promise of using electronic tools to deliver better, faster, and cheaper care. We are in the midst of the disruptive period. On my best days in practice, it seems as though all of my patients are savvy, engaged, and connected: e-patients. On the bad days, I feel like an overcompensated data entry clerk.